Selfie culture, the child of the social media revolution, has been criticized and analyzed time and time again in the past few years. Broadly speaking, people who use social media are continuously becoming more interested in their appearance. This trend has recently become compounded by the rise of filter-based technology associated with apps like Snapchat, Instagram, and Facetune. These platforms have taken the selfie-game to an entirely new level by applying real-time filters to the faces of their users. As social media users continue to perceive themselves in terms of their online presence, a phenomenon known as "Snapchat Dysmorphia" has surfaced in which people grow obsessed with the "beautified" filtered versions of their faces. 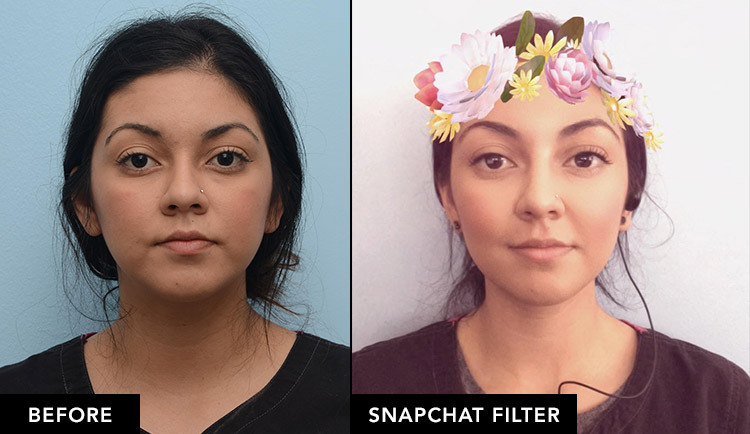 It's now becoming more and more common for these users to seek cosmetic enhancements in an effort to mimic their filter-laden selfies. While fears and criticisms involving "snapchat dysmorphia" are frequently over exaggerated, the underlying effects of selfie-culture on the aesthetic medicine industry are undeniable. The combined elements of increased interest in personal appearance and the dramatic rise of celebrity endorsed enhancements have created a perfect storm in which younger patients are hoping to change their looks based on social media. Some examples of this are far more extreme than others, but the overarching theme remains the same. Selfies and the rise of visualization technology are actively transforming the aesthetics industry and the effects will most likely be amplified in the coming years. The "Kylie Jenner Effect" demonstrates how social media has become the go-to space for marketers and advertisers of enhancement and beautification products. KylieCosmetics, the cosmetics brand with near-billionaire Kylie Jenner at the helm, was recently valued at $800M by Forbes. The brand does the bulk of its promotions via Kylie's personal Instagram account, which has a staggering 122.8M followers. This keeps marketing costs down while ensuring that everyone who sees the promos are a part of her captive audience. Using influencers for promotional content isn't anything new. It's just recently become a multi-billion dollar market and doesn't show any signs of slowing down. The logic behind it makes perfect sense too. Why pay advertising dollars to reach an audience of questionably-targeted people when you could use that same budget to reach millions of fans of your newest "brand ambassador"? There is a dramatic difference between reaching millions via a billboard and reaching millions of people who specifically pay attention to a certain individual's social media feed. The point here is that social media influencers have created an entirely new and exciting way for enhancement products and services to reach consumers. They've also amplified the desire for "followers" to look like the influencers that they pay attention to and admire. People buy Kylie Jenner's products because they want so badly to look like Kylie Jenner. And while her success is an extreme example, smaller-time influencers are easily able to have similar effects at an admittedly humbler scale. The rise of social media influencers has in turn led to a surge of cosmetic-based "Instagram Brands". These companies spend the bulk of their marketing budget on social media and provide mostly direct-to-consumer products for hair, skin, and body enhancements. Their heavy use of influencer marketing tactics demonstrates how younger consumers frequently look to celebrities, or the more recently endowed "micro-celebrities", to make decisions about appearance. Influencers take selfies. Followers want to look like they do in those selfies. And the aesthetics industry adjusts to the new demands of these selfie-influenced individuals. This culminates in a growing consumer-base of young people eager to experiment with new cosmetic products and aesthetic treatments in order to mimic the appearance of their idols. It also leads to more practices and brands willing to "give the people what they want", so to speak. Vanessa Hudgens promoting SugarBearHair “cosmetic vitamins”. These types of beauty-based supplement brands are on the rise and have seen plenty of success with Instagram influencers. Body dysmorphia, or body dysmorphic disorder, is a psychological condition in which a person perceives a "flaw" (real or imaginary) in their appearance and obsesses over it. This past year, a growing number of doctors have become concerned with a phenomenon known as "snapchat dysmorphia", in which the user of the app begins to obsess over their actual looks in comparison to their filtered selfies. While Snapchat certainly pioneered the real-time selfie filters, other apps like Instagram have arguably had an even bigger influence on users' perceptions of themselves. The combined elements of filtered visuals with social media influencers makes Instagram an unbeatable hub for the conjuring of this specific type of dysmorphia. Still, regardless of where it ultimately stems from, many doctors fear the negative consequences of this selfie-bound perception. These concerns mostly stem from the idea that "snapchat patients" are having unreasonable or unattainable concepts of beauty that they hope to achieve. Clever marketing tactics and celebrity worship have caused this gap between perception and reality for decades, but these newer filter-based technologies are creating an intensified wave of anxiety for doctors. As we mentioned before, there is always a spectrum of extremity when it comes to this type of thing. The majority of patients with supposed "snapchat dysmorphia" aren't actually looking for enhancements that are very far outside of the norm. It’s not so much the types of surgeries as it is the reasoning for undergoing them that has many doctors worried. The video below is a short documentary made by Broadly and Vice that follows one woman on her journey to undergo plastic surgery to look more like her Snapchat and Facetune filtered images. The reality is, body and face visualization technologies are certainly impacting the way aesthetic patients think they should look. However, magazine ads, tv commercials, and celebrity worship have had the same impact for decades. The only difference is that nowadays there is a wider variety of aesthetic treatments, a youthful and experimental consumer base seeking more personalized and engaging experiences, and less overall social stigma against cosmetic enhancements. There is also a greater amount of attention paid to self-image due to the constant presence of a camera and "selfie filter" in everyone's pockets. Facetune, Snapchat, and Instagram mostly have the market cornered in terms of selfie manipulating tech. On the other hand, there are more realistic forms of visualizations that provide potential patients with predictions of what they could look like after actual cosmetic enhancement procedures. These predictive imaging applications are steadily reshaping the ways in which patients understand and interact with their treatment options. New Look Now's predictive imaging technology is meant to provide visualizations of realistic and entirely attainable treatment results. 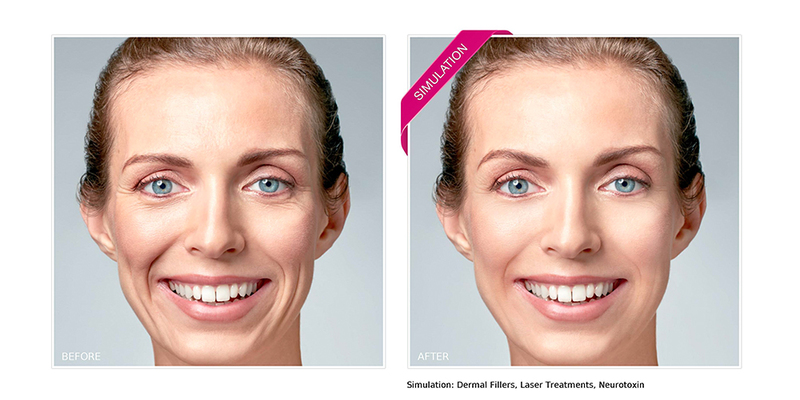 Our "before and after" visualizations offer an educational and engaging way for potential patients to see first-hand how they could look after undergoing an aesthetic enhancement procedure. As a tool for patients, New Look Now can generate reasonable expectations and increase interest and certainty in proposed treatment plans. As a tool for treatment providers, our predictive imaging is a proven way to create more leads, convert more patients, and boost overall revenue regardless of your practice type. Visualization tech is shaping the way that people approach aesthetic medicine. Snapchat selfies are at one end of the spectrum. New Look Now's predictive imaging technology is at the other. Both types of user-focused applications will have dramatic impacts on the ways in which consumers seek treatments and providers decide to give them. 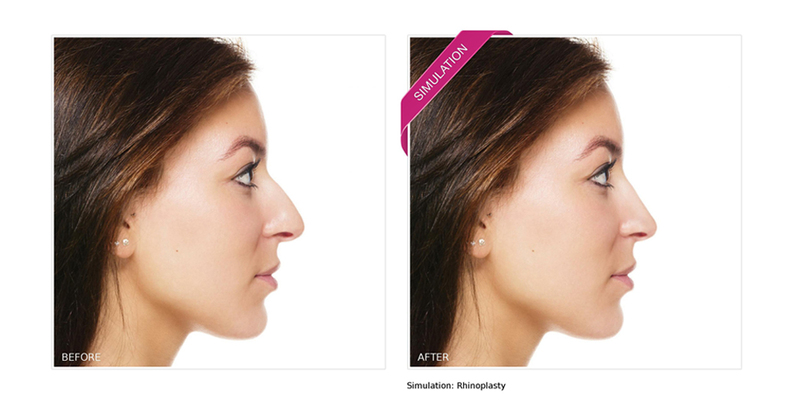 Sample of New Look Now’s predictive imaging technology used for a Rhinoplasty simulation. Learn more about how you can be at the forefront of the aesthetic industry by offering your patients realistic predictions of treatment outcomes with New Look Now. Schedule a one-on-one demo today!